I like what you have done with the tabbed layout. However, I think there are some easy improvements you can make, especially for mobiles. The problem is, on a mobile layout, the tabs turn into accordions. These are bad for the user on the mobile since as the user scrolls down, they don’t realise they need to scroll back up and click on the accordion for more information. I have the following suggestions that could really improve this. On desktop and mobile, make the tabs sticky. As the user scrolls down the page, they stick to the top of the screen under the menu bar. 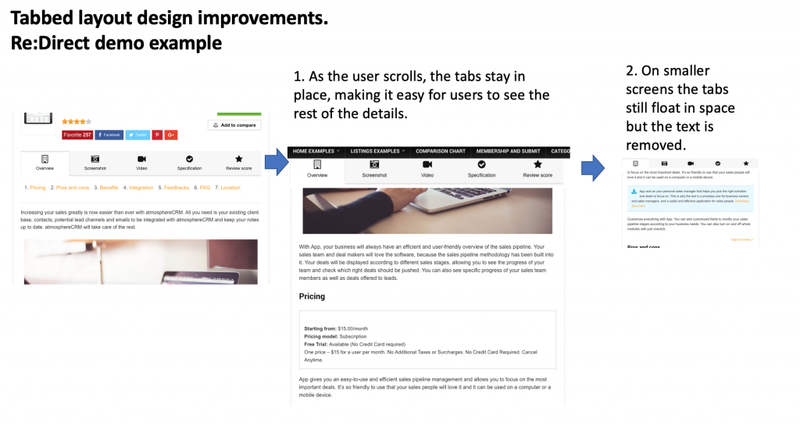 This helps both mobile and desktop users navigate to the content on the other tabs while scrolling. Change the responsive design so that when the screen is smaller, the tabs don’t wrap into an accordion. Instead, they all stay inline and the text is removed so that only the icon is showing. 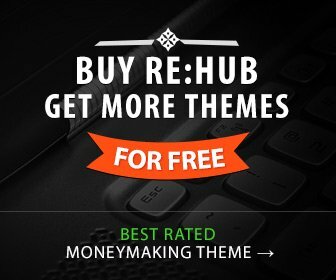 I believe this will make a huge improvement to the re:hub design, and it’s similar to what I see a lot of other type of sites doing these days. Until then, I might have to come up with another way to separate out my layouts, as the current design hides too much from the user. I have attached an example showing how this could look on the Re:Direct demo site.